Our pants are so much more than clothing to cover you. They are a tool. These pants are designed with durable, waterproof material that lets you take on all types of weather like a boss. Did you know that marines use these same type of IX9 pants every day during training exercises? It's true! 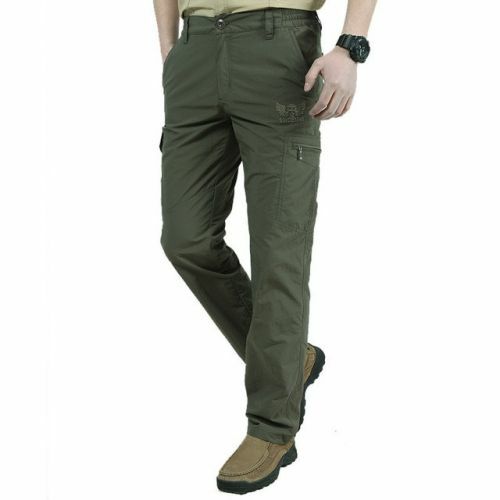 These pants help them stay comfortable and protected while they complete missions in harsh weather conditions. These awesome pants are made from breathable material that keeps you comfortable while hiking, running, and other outdoor activities. They are built tough but stylish enough to wear as part of your daily casual wardrobe. Plus, they have a ton of spacious pockets throughout. A great design for storing your items. Ergonomic Knee design for maximum range of motion no matter your activity. 2 crossover front pockets, that are designed to be deep and spacious. They keep your hands freed up!